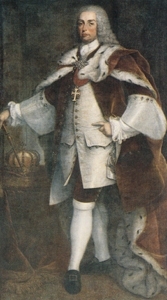 Jose I de Bragança, Rei de Portugal was born on 6 June 1714 at Lisbon, PortugalG. 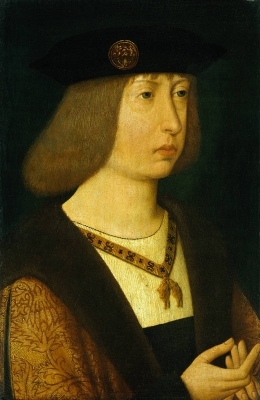 He was the son of João V de Bragança, Rei de Portugal and Maria Anna Josefa Erzherzogin von Österreich. 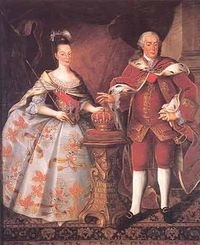 He married Maria Ana Vittoria de Borbón, Infanta de España, daughter of Felipe V de Borbón, Rey de España and Isabella Elizabeth Farnese, in 1732.2 He was also reported to have been married on 19 January 1729 at Elvas, PortugalG. 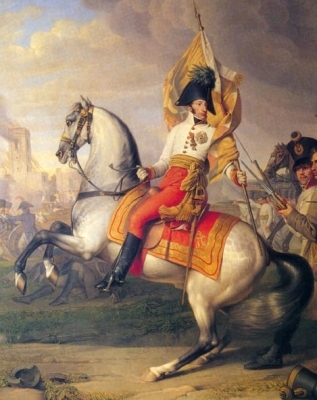 He died on 24 February 1777 at age 62 at Lisbon, PortugalG. [S45] Marcellus Donald R. von Redlich, Pedigrees of Emperor Charlemagne, I, page 57, says Toledo, Spain. [S38] John Morby, Dynasties of the World: a chronological and genealogical handbook (Oxford, Oxfordshire, U.K.: Oxford University Press, 1989), page 113. Hereinafter cited as Dynasties of the World. [S12] C. Arnold McNaughton, The Book of Kings, volume 1, page 381. [S12] C. Arnold McNaughton, The Book of Kings, volume 1, page 434.